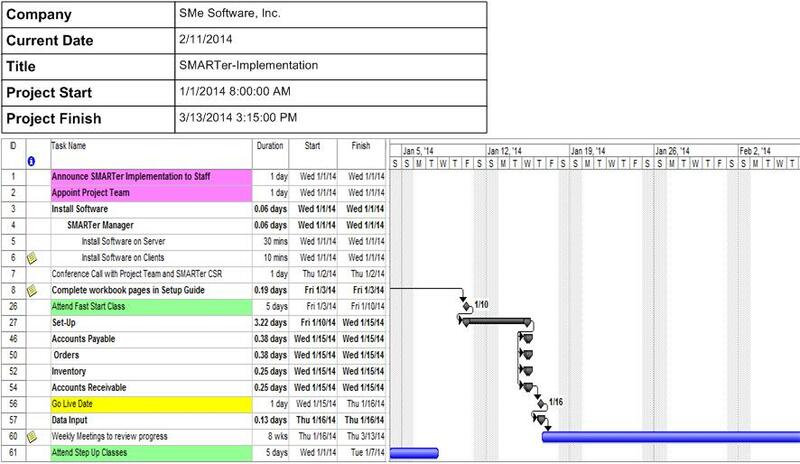 SMARTer Implementation is your first step towards SMARTer Manager™ success. Your SMARTer Implementation Specialist will custom tailor a well-planned map for your success. We’ll combine our experience, your needs and defined goals to make your implementation a smooth and seamless process. Your implementation will equip you with everything you need to enjoy the essential benefits of SMARTer Manager™ that will lead your company to greater market responsiveness, faster innovation, better customer service and a greater share of your market. Read our ERP Implementation Q&A article. Mock Implementation Schedule. From announcing the new software to your company to the Go Live date.